As many of you now know, we’re introducing an entirely new progression system with Guild Wars 2: Heart of Thorns™. 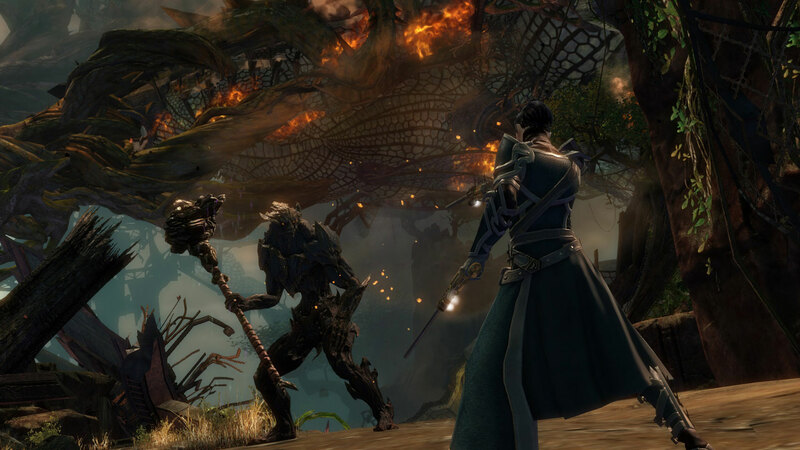 The Mastery system is a key component of one of our primary goals with this first expansion to Guild Wars 2. We want to introduce a new framework for endgame progression and a meaningful way for players to grow their characters and their experience once they’ve reached the maximum level in the game. Through Masteries, players who’ve reached level 80 will have the opportunity to continue their journey by acquiring powerful new abilities for their entire account. Masteries are the way you will progress after reaching level 80 in PvE, but they’re quite a bit different than traditional progression, so let’s take a closer look at exactly how this new system will work. Masteries provide abilities and bonuses that can be unlocked for all characters on your account by completing in-game content and gaining experience in PvE. Masteries allow you to progress in PvE by playing PvE content. Unlike traditional progression systems, Masteries expand with the world. Instead of earning small increases in base stats, Masteries give you meaningful powers that affect your interaction with the game and open up new possibilities as you progress. Each Mastery track contains several tiers to unlock, allowing you to gain more powerful abilities associated with each track’s theme as you progress. 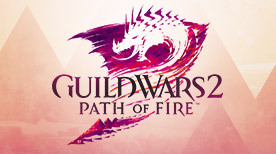 Masteries are all about adding an exciting progression system to the PvE component of Guild Wars 2—WvW has its Abilities system, PvP progression is focused on player skill, and PvE will now have meaningful endgame progression with Masteries. How Do I Get Masteries? The ability to train Masteries is unlocked at level 80 for all players that own Heart of Thorns. When this ability is unlocked, your character’s experience bar will change to become a Mastery training bar while in PvE zones. This bar will track your progress on training the Mastery track you currently have selected, showing both the abilities you are training toward and those already earned from the track. To see all your Mastery tracks, spend Mastery points, and change which Mastery you are currently training, click the Mastery training bar to bring up the Mastery tray. Because the Mastery training bar completely replaces the experience bar, players who’ve reached level 80 will no longer gain levels but will instead train Masteries. This means characters that have reached level 80 will no longer gain skill points through leveling. Skill points will be added as rewards across high-level content to offset this change. To train a specific Mastery track, you must first unlock it by spending Mastery points. Mastery points are awarded for completing various pieces of game content. Things like completing a chapter in your personal story, completing certain achievements, reaching hard-to-find locations, overcoming challenging encounters, excelling at adventures found within the Heart of Maguuma, or earning 100% completion for a map will award Mastery points. Each Mastery point can be earned once per account, so while Mastery points allow you to unlock Mastery tracks, they are also an indicator of how much of the game you’ve experienced. In fact, once you have unlocked the ability to train Masteries, your nameplate will display the number of Mastery points you have gained rather than your level. Mastery points can be gained at any level but cannot be spent until level 80. Once you’ve unlocked a Mastery track tier with Mastery points, you can begin training that Mastery. Mastery tracks are trained by gaining experience while the Mastery track is slotted on the Mastery training bar. Higher tiers in Mastery tracks require progressively more Mastery points and more experience to fully train. Each Mastery track is tied to a region of Tyria—they must be unlocked with Mastery points gained in that region and can only be trained in that region. With the launch of Heart of Thorns, there will be two Mastery regions: the Heart of Maguuma, encompassing all PvE zones that are part of the Heart of Thorns expansion, and the core Guild Wars 2 world, encompassing all PvE zones currently available in the game today. Since Mastery tracks can only be trained in their respective regions, the Mastery training bar will automatically change the Mastery track slotted when you change regions, reverting to the last Mastery track you had selected for that region. Some Mastery points will come from content that existing players may have already completed, and these Mastery points will be automatically awarded to you with the release of Heart of Thorns, allowing you to get started on your Mastery journey right away. What Can I Get From Masteries? Master Lore: Attunement with new ally races can be trained to understand their language, unlocking secret locations and access to battle techniques that can weaken your shared enemies. Master Legends: Train in legendary crafting to learn to create all existing legendary weapon precursors and new legendary weapon precursors introduced with Heart of Thorns. Master Exploration: Mastering jungle movement will unlock the ability to hang glide to previously unreachable locations as well as the ability to use special mushrooms to traverse the Heart of Maguuma faster. Master Combat: The Heart of Maguuma will be home to some of the most challenging combat in Guild Wars 2, and Masteries will give you the tools you need to excel in these fights. Hunt new enemies, master abilities to defeat champions, and become more deadly against the new creatures waiting in the jungle. Master Fractals: Uncover new depths in the Fractals of the Mists to gain powerful new abilities to overcome difficult fractal challenges, garner greater rewards, and unlock more powerful infusions. To give you a better understanding of what Masteries can mean for you, let’s take a closer look at gliding, a new method of exploration introduced in the Heart of Maguuma. In the jungle, you can make your way up through the canopy layers and climb to impossible heights. While you’re up there, you’ll have the chance to check out some stunning views—and, of course, you’ll be accompanied by the ever-present threat of falling an incredibly long distance to your death on the forest floor. When you train the Gliding Mastery, however, you’ll have the option to soar freely through the treetops, escape the dangers that await you on the jungle floor, use the air to your advantage in combat against certain foes, and save yourself from accidental death by slipping. 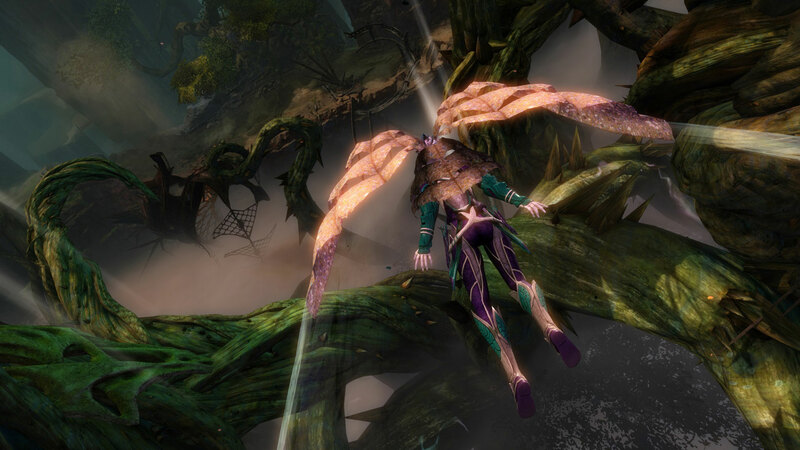 Once you’ve unlocked the Gliding Mastery track, you can pull out your glider any time you’re in free fall in the Heart of Maguuma. When you first pull out your glider, you’ll notice that you have a limited amount of energy while in the air. Be careful—if you run out of energy while gliding, your glider will collapse and you’ll be in for a rough landing! As you continue to explore the jungle, you’ll have the option to further develop your gliding skills by advancing this Mastery. Fly longer, jump higher, take advantage of strong wind currents, and launch yourself into the air with greater force—make your glider work harder for you, and use it to explore the Heart of Maguuma to its fullest. Masteries and the Heart of Maguuma have been designed to complement and support each other. As you unlock Masteries, you’ll be more effective in fights against certain enemies in the jungle, you’ll be able to reach new areas and fully explore the maps you’re in, and you’ll be able to revisit previous encounters with the advantage of the abilities you’ve mastered over time. And as you complete more content in the Heart of Maguuma, such as hitting certain performance thresholds in adventures or exploring maps, you’ll be rewarded with even more Mastery points to spend as you see fit. Every Mastery you invest in will bring new benefits to all of the characters on your account. Gliding greatly enhances your ability to move around the jungle, while other Masteries focus on combat, lore, and exploration. 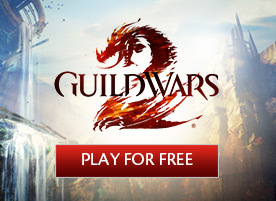 We are very excited about bringing Masteries to Guild Wars 2. 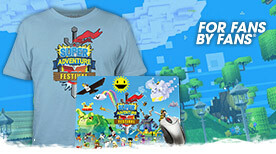 We believe it’s the perfect progression system for a game where the journey is the goal. Masteries allow us to focus on giving you new abilities without invalidating your past achievements. They allow you to constantly grow and overcome new challenges while focusing on playing the game instead of grinding for gear. Masteries have the flexibility to both take us to new places and revisit our old favorites, and since the Mastery system provides account-based progression, new characters are always welcome. We can’t wait to share Masteries with you when Heart of Thorns arrives in Guild Wars 2.